Wow, that title was hard to spit out. There's a ton of tasty ingredients packed in these tiny cookies, hence the super long, rule-breaking title. 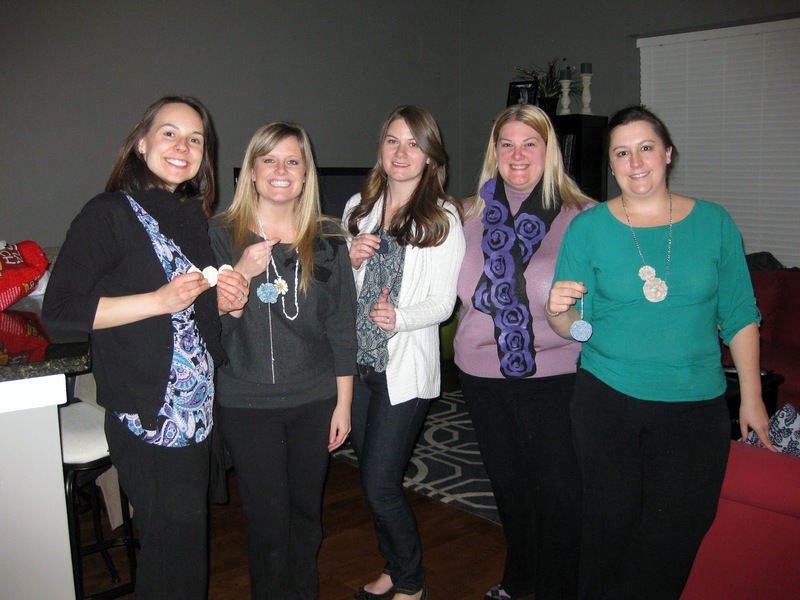 The Suburban Crafting Club met again last night, this time at Becca's house to make fabric rosettes. I was a bad crafter and did absolutely no prep work or homework, so I didn't have much to show for it at the end of the night. But I did bring cookies! You can read about all the lovely things my friends made at Kim's blog. Whisk together the eggs, then add the vanilla, vegetable oil and applesauce. Add the Splenda and brown sugar, then mix to combine. In a separate bowl, combine the remaining ingredients, except for the chocolate chips. Pour the wet ingredients over the dry ingredients, then stir to combine. Fold in chocolate chips. Freeze the batter overnight. Preheat the oven to 375 degrees. Roll out the dough into 1 Tablespoon-size cookies. The recipe should make about 30 cookies. Place on cookie sheets, one dozen to each sheet, then bake for about 10 minutes or until golden brown. 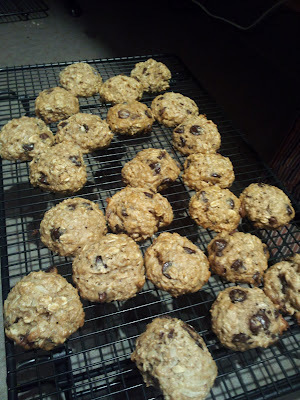 These cookies are actually better the second day, as it gives these tasty morsels a chance to get softer and chewier.